Soil quality, especially its toxic elements content, plays an important part in clarifying the sustainability of an estuarine ecosystem. 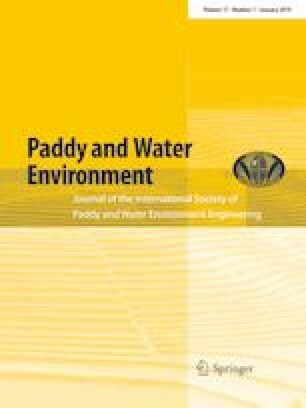 In this study, six toxic elements (As, Pb, Cd, Zn, Cr, Cu) in soils and sediments of the Ba Lat estuary, northern Vietnam, were assessed using the ICP-MS technique. Soil properties, such as major minerals, soil particles, organic carbon content, were also measured using an X-ray diffractometer (XRD) system and other common methods. The FE-EPMA technique was applied to explore the surface chemical properties of the soil and sediment particles. Detailed information about arsenic and heavy metal forms in the samples was analyzed by the sequential extraction method. Sixty-seven surface soil and sediment samples were collected. In addition, several soil and sediment cores (1 m of depth) were also taken from mangrove forests and paddy fields to evaluate their toxic element content. The chemical analyses have shown that the surface layers of the river sediment and mangrove forest soil contain accumulated As and heavy metals, which could have been transported from the upstream Red River. The average concentrations of heavy metals (Pb, Cd, Zn, Cr, Cu) did not exceed the allowable limit for agricultural soil; however, these elements tend to accumulate on the surface layer of the soil and sediment profiles. The spatial distribution of the toxic elements suggests that intensive human activities in the upstream Red River in recent decades were the cause of elevated levels of these toxic elements in the estuarine ecosystem of Ba Lat estuary. The content of this paper is part of the PhD thesis of Nguyen Van Thinh, who received a scholarship from MEXT during his doctoral course at Kyushu University. The authors express their grateful thanks to Prof. Do Nguyen Hai, Prof. Nguyen Huu Thanh, Mr. Tho Hoang Nguyen, Mr. Anh Nguyen Duc and Mr. Tran M Chau in the Vietnam National University of Agriculture for their corporation and advice during the field survey in Vietnam.